This non-fiction book is something of a niche interest, to say the least. Most of us will know something about the German SS, whether the battlefield atrocities they committed, how they served in concentration camps, or the combat exploits of the Waffen SS. 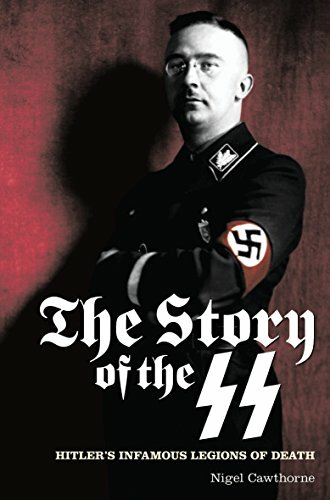 This long book (384 pages) examines the formation, background and organisation of the Nazi SS in great detail. Starting shortly after the end of WW1, the rise of Hitler’s National Socialist Party is covered, as well as the creation of the SA, which led to the offshoot organisation, the SS. All the leading political figures of the day are examined, as well as many minor officials and their roles in the building of the controlling Nazi state that followed. The book goes on to discuss the roles that SS figures played before and during WW2, adding some photos and background details about the war in general, and specific events like the invasion of The Soviet Union, in 1941. The use of SS units to execute prisoners, kill civilians, and fight partisans is contrasted by the political machinations of their members on the home front, and in the countries occupied by Germany. We also learn about the collaborators, the foreign volunteers, and the often brave and distinguished combat units that fought to the very end, in 1945. Then the author goes on to look at those who escaped justice, and those who faced trial for their involvement in the SS, and its actions. Much of the book contains lists of units, with the German names translated for the benefit of non-German readers. Numerous individual characters are highlighted, from the top leaders of the organisation, down to some who were little more that murderers in uniform. Chilling totals of the deaths they were responsible for, and the crimes committed in both concentration camps, and after battles in the field. This is not a book for everyone of course. But given the current world political situation, it serves to remind us just what ‘ordinary’ men can be capable of. As an historical record, it has great value. Anyone who uses Amazon Kindle will know how they ‘suggest’ things you might like, based on what you have bought, or reviewed. That is how I came to buy my copy of this well-received novel by Kate Furnivall, for just £0.99. 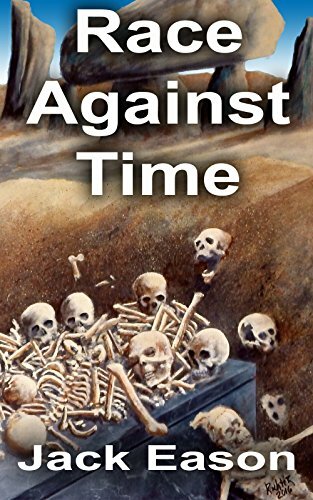 It has a similar theme to ‘Ludwika’, the last book I read and reviewed, and is set in the same countries, and the same time period too. This gave me an opportunity to compare the two books very closely, both fresh in my mind. At 448 pages, it is a long read, and feels like a saga, despite covering a relatively short period immediately after WW2. 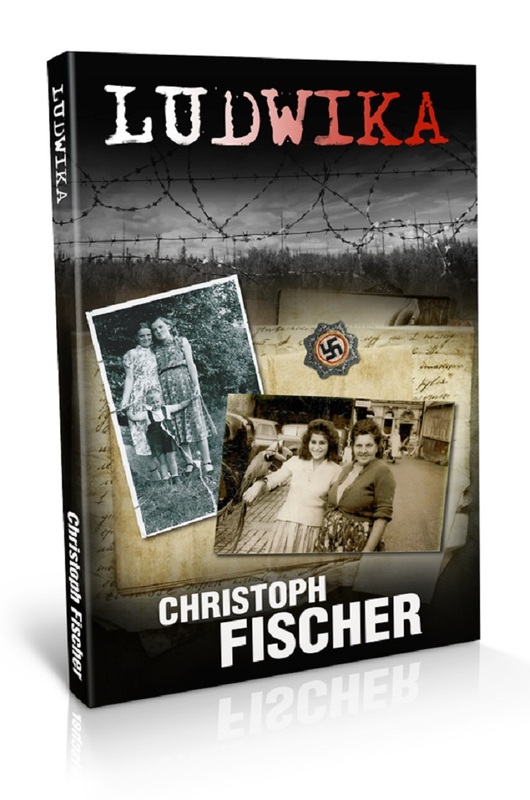 The reason for this is that much of the story is told in flashback, looking at how past events during the German occupation of Poland changed the lives of some of the main characters in the book. We begin by following the harassed Klara, as she flees the Soviets who have taken control of her country. As a former resistance fighter, she fears for her safety under the new regime, and accompanied by her 10 year-old daughter, she is making the arduous trek West, hoping to eventually get to distant relatives in England. The journey is fraught with danger, as roving bands of displaced people are prepared to kill anyone for valuables, or food. 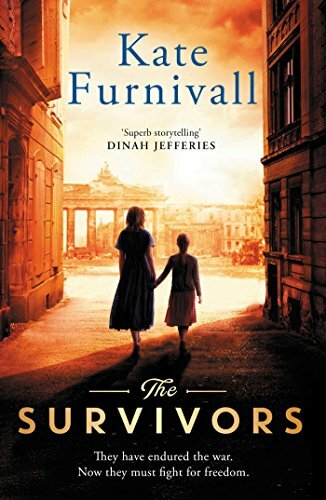 But Klara has learned her lessons well in adversity, and manages to get her and her daughter to the safety of a displaced persons camp in West Germany, run by a sympathetic British commander. After that, we read of her life in the camp, managing to survive against the odds, making friends, stealing and conniving, and always looking to get permission to head for England, and the home of her relative. Everything leading up to that point is told in flashback. How she was caught working for the Polish Resistance, tortured, and eventually handed over to a high-ranking SS officer, to be his sexual plaything. With her daughter removed to a convent, Klara never gives up hope of reuniting with her, and does what she has to do, to keep on the side of her German oppressors. 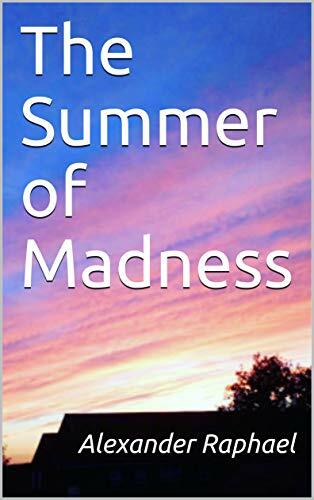 The arrival in the camp of an old German adversary threatens to expose her past, and Klara has to learn to deal with his threats, recruiting some kindly camp inmates to help her, and using the small group of feral children she has accumulated too. After this point, the novel turns into a thriller, as we wonder if she will outsmart the man, and manage to achieve her dream of a new life in England with her daughter. Descriptions of the camp life, the privations endured, and the catastrophic damage to the surrounding German towns and cities give us some idea of the difficulties faced by our characters. Details feel authentic, and the various people in the life of Klara are brought to life by good writing that allows us to imagine their scenes. But some of those encountered do feel stereotypical at times, especially the ruthless former SS commander, and the ‘kindly’ British Camp overseer. And for me, the ending was too neat. Too ‘nice’, and felt wrapped up like a parcel to satisfy the reader. Otherwise, it is a very competent historical novel, with characters you want to follow, and situations that are convincing and believable. This is the second book I have read by Christoph Fischer, and it has made me want to seek out more of his excellent work. A fellow blogger and published author, Christoph has a real talent when it comes to historical fiction. Here is my five-star review, posted on Amazon UK. ‘Once again, Fischer shows such talent for bringing history to life, with this based-on-fact novel about the survival of a young Polish woman during WW2. Taking the small details he could find, the author weaves them into a story by adding fictional characters, delivering a page-turning experience that showcases his style and skill. From a peaceful life on a Polish farm, to near slave labour in far-off Germany, we follow the trials and tribulations that beset our young heroine during the long years of that war. And to round it off, we also get to find out what really happened to her, later in life. Adding to the overall enjoyment of this book is the fact that Ludwika was a real person, and her photograph is on the cover. This story of someone doing anything to survive the horrors of the Nazis in WW2 is at times harrowing, but also uplifting. A single mother determined to do the best for her children, Ludwika personifies the strength of her generation; willing to endure almost any privation to survive, and ready to work hard to secure the safety of her family. From the start of the war in Poland, right through to her time as a refugee later, we encounter many characters that affect her life. Tragedy mixed with hope, kindness alongside cruelty. It is a story of survival, but also one of human spirit, and the dedication of a mother. There is truly something for everyone in this life-affirming novel. I bought my Kindle version from Amazon some time ago, and I am very pleased that I finally got around to reading it. Here are some links to Christoph’s other books, and also to Amazon, (UK and US sites) where you can purchase your own copy. I am pleased to announce the release of Vol. 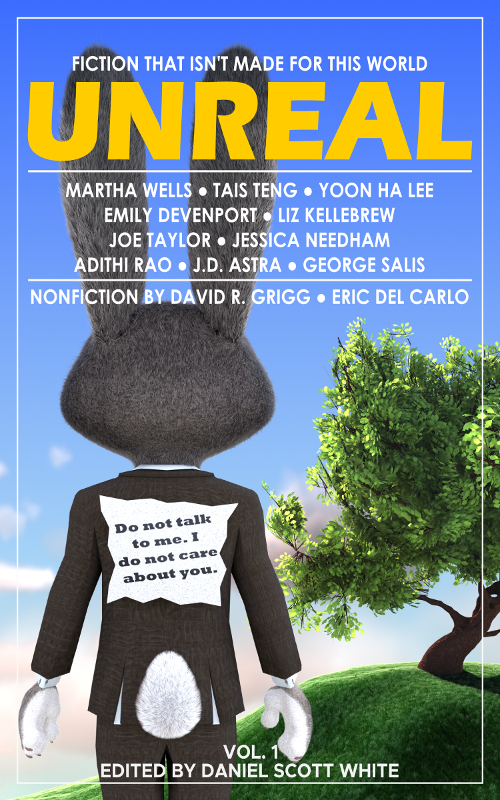 1 of Unreal Magazine, a new publication from Longshot Press. Regular readers will know that I have had stories and articles published in another of their magazines, Longshot Island. Here is what they have to say about Unreal Magazine. These stories don’t have an agenda. They aren’t preachy. They are just fun to read. So let go. Get unreal for a moment. Meanwhile, these stories might just enlighten you in ways only a fable can pull off. Stories by Martha Wells, Tais Teng, Emily Devenport, Yoon Ha Lee, and more. Here is a link to the magazine website, where you can read more, and buy a copy too. If any of you would like to submit a story to the magazine, here is an easy link to do just that. Please share the news about this exciting new short-story venture, and feel free to contact me if you would like to know more. My email address is on my ‘About’ page. This is a fictional short story, in just 608 words. It was a very conventional wooden bench. Varnished slats, with wrought-iron frames at each end to support it. Arm-rests capped off each end, and the metal feet were set into a concrete base, so that it wouldn’t be stolen. The curve of the back was enough to allow someone to rest, but still be able to admire the view. It would seat four adults comfortably, if they didn’t mind sitting quite close together. On the back at the top, fixed to the wood by four tiny screws, a small brass plaque carried an engraved message, for anyone who could be bothered to read it. The brass was already pitted, worn down by salty air, and blowing sand. There was nobody left to polish it anymore. It had been paid for and placed there by his wife, Edna. But she was gone now. One of the wrought iron frames had been disfigured by garish purple paint. A squiggle with no meaning, other than to the young person who had sprayed it on there. Scuff marks on the front slats showed where some had raised their legs and rested their feet on the woodwork, wearing away varnish that would never be re-applied. The seagulls that walked around looking for food scraps had anointed parts of the bench with their droppings as they flew away, quarreling and squawking. Determined plants had eventually forced their way up through the concrete base. Dandelions and scrub grass, finding the smallest cracks as they broke through into the sunlight. A milk-shake carton had survived since last season, rolling from one side to the other underneath, further progress halted by the stout iron sides. Cigarette butts congregated in the corners of the base too, next to chewing-gum wrappers and squashed plastic straws. The dark wood-stain has fared badly against the elements. The rich brown now faded, little more than a light tan now. But the view is unchanged. The view that Tom loved as a boy, and continued to cherish as an adult. The small pier to the right, with the pavilion of entertainments at the far end. Glance to the left, and there is the Beach Cafe; still the same, despite new management. Open even during winter, offering hot drinks and warm food to the hardiest walkers along the promenade. Look straight ahead down the sloping beach, and in come the endless, gently rolling waves. They rush onto the stones as if needing to be somewhere in a hurry, then slowly recede, when their strength expires. The sound of sea on stones, the lullaby that soothed Tom for decades. As wonderful vistas go, it may not have counted for much. But for Tom, it was paradise. A family approach the bench. Young mum, squeezed into leggings that seem like a second skin. Heels on shoes inappropriate for long walks at the seaside. She pushes a folding buggy containing a screaming baby, with an older boy hanging onto the handles, demanding ice cream from the Beach Cafe he has just spotted. Her partner is tall, with arms and neck heavily tattooed, ignoring the demands of his children as he stares into his mobile phone. She sits down, removing the shoes, and rubbing her blistered feet. The baby has stopped screaming, but the toddler’s demand for the ice cream is relentless. The man perches on the edge, rolling a cigarette from the makings balanced on the legs of his jeans. Once he has finished, they give in to the tantrum, and walk in the direction of the beach cafe. Neither of them even noticed the plaque.